The story begins when two poets meet. Gabriel Syme is a poet of law. Lucian Gregory is a poetic anarchist. As the poets protest their respective philosophies, they strike a challenge. In the ruckus that ensues, the Central European Council of Anarchists elects Syme to the post of Thursday, one of their seven chief council positions. Undercover. On the run, Syme meets with Sunday, the head of the council, a man so outrageously mysterious that his antics confound both the law-abiding and the anarchist. This epic poem is about Alfred the Great's defense of Christian England against the pagan Viking invaders. The decisive battle is fought in sight of a white horse mark made on a hill, after which the poem is named. As the white horse mark must be continually maintained by weeding to be clearly seen, Chesterton sees it as a symbol of the continual struggle to maintain the Christian culture and values for which Alfred the Great fought. 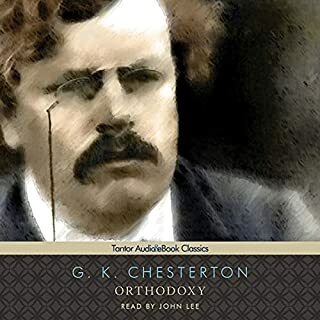 You may be aware that G. K. Chesterton authored influential Christian biographies and apologetics. But you may not know the larger-than-life Gilbert Keith Chesterton himself - not yet. Equally versed in poetry, novels, literary criticism, and journalism, he addressed politics, culture, and religion with a towering intellect and a soaring wit. 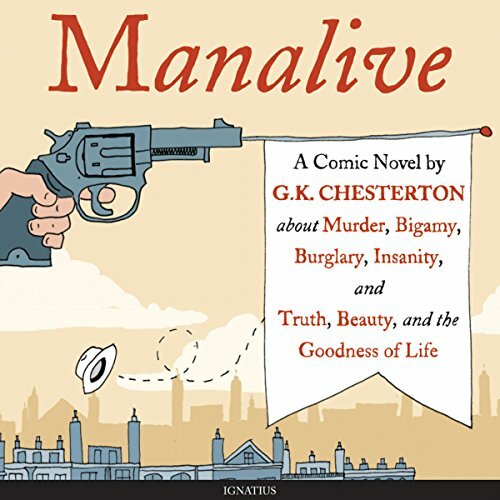 Chesterton carried on lively, public discussions with the social commentators of his day, continually challenging them with civility, humility, erudition, and his ever-sharp sense of humor. Then the unexpected happens: Smith shoots at one of the tenants, and two doctors arrive to arrest him, claiming that he's a bigamist, an attempted murderer, and a thief. But cynical writer Moon insists that the case be tried there - and they explore Smith's past history, revealing startling truths about what he does. Is he the wickedest man in Britain, or is he "blameless as a buttercup"? 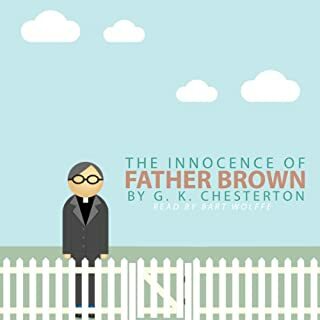 Beautifully written, mixing the ridiculous with the profound, full of hilarious dialogue, and lushly detailed writing, Chesterton's main character Innocent Smith somehow manages to restore joy to all the dull and cynical lives around him. 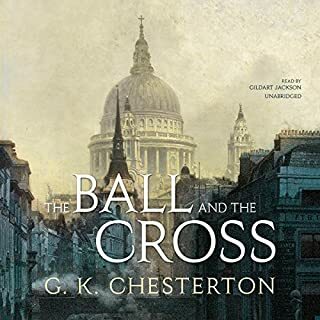 In this delightfully strange mystery, Chesterton demonstrates why life is worth living, and that sometimes we need a little madness just to know we are alive. Brilliant and delightful! 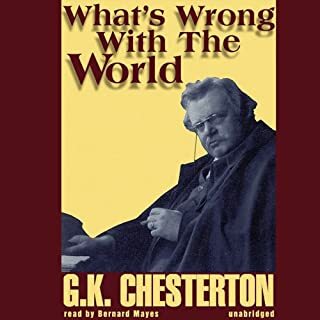 G K Chesterton’s mind is wonderfully unique and imminently practical. “Apostle of Common Sense”, indeed! This is one of my favorite books of all time. I’ve been waiting for it to come in a good dramatic audio version. This exceeded my expectations. Excellent reader. If you’ve never experienced Chesterton take the plunge here. It’s a great ride. For at least the first half hour of listening I was downright annoyed the way the reader was reading. To me it sounded too childish like he was reading to a kindergartner. Either I eventually got used to it or he toned it down because I didn't mind as much after a while. He did a very good job doing the voices of the characters though. 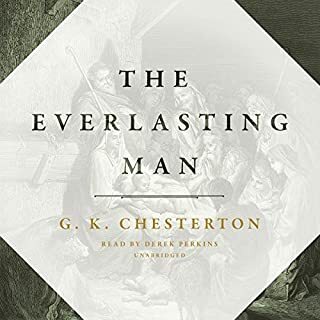 The story was classic Chesterton - fun, enjoyable, paradoxical, and intellectually stimulating. Worth the listen. However, unless you are a seasoned reader your likely to be confused about what's going on for the first chapter or two. 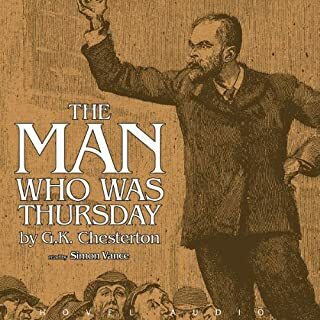 My first Chesterton book and it was amazing. Witty, loving, but hard hitting challenge to a pretentious age. Love the meta letter reading towards the end. Narrator was excellent doing an Irish accent, about 6 English accents, and one or two American accents. This is truly one of the most annoying books I have ever read or listened to. Don’t believe anyone who says otherwise. If you make it past “Puddles. Puddles. Puddles. Puddles. Puddles.” then you’re so much more tolerant of ridiculousness than I am. I am literally seething at this book and the performance is horrible. Shrieking. I’d really like my money back on this one.